Update: an earlier version of this post incorrectly stated that Mo’ne Davis played for Jackie Robinson West. 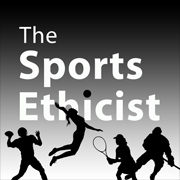 On the most recent Sports Ethicist Show, I spoke with my friend Joe, a die-hard hockey fan, about whether fighting in hockey is ethically justified. In this post, I will summarize and revisit some of the main points of the discussion. Hockey is known for frequent in-game fights: so much so that there is a joke about going to a boxing match but a hockey game broke out. Fights, of course, happen in other sports: baseball, football, etc., but only in hockey is it seemingly accepted and even used strategically in the game. Other sports leagues (included European hockey leagues) eject, fine, and suspend players for fighting. In the NHL, a fight typically only results in a five minute penalty. NHL rules even stipulate the conditions around fighting. Fighting in the NHL is controversial. Many traditional hockey fans and players see fighting as an inherent and important part of the sport. Other fans and critics regard fighting as unnecessary and barbaric. My position is that fighting in hockey is for the most part unnecessary and wrong. It is a lack of sportsmanship and self-control, and overall does more harm to the sport than any purported benefits. Nevertheless, I do think there is a case to be made for the NHL status quo. Those who defend hockey fighting offer several reasons. I think the following list is representative of these reasons. Intimidation: Fighting as a strategy gives the team a psychological edge over opponents. Momentum-Changer: Fighting can swing momentum in a team’s favor. Entertainment: Fans want to the see fighting. Offensive/Defensive Balance: Fighting helps to maintain the appropriate balance between offensive and defensive strategies. Prohibiting fighting would favor more finesse offense. Retaliation/ Self-Policing: Fighting is justified in retaliation for cheap shots and agitation. Deterrence Effect: By allowing fighting, the overall level of violence, instigation, or cheap play is reduced. Penalty Draw: Fighting or agitation by threatening fighting can be used strategically to induce the opposing team to commit a penalty. Outgrowth of Physical/Aggressive Play: Fighting is an occasional, though expected, consequence of the physical play that is necessary to hockey. In what follows, I analyze the relative strengths and weaknesses of these arguments. For the most part, except for #8, these don’t measure up to justifying hockey fighting. The first three arguments (Intimidation, Momentum, Entertainment) beg the question by assuming the justifiability of fighting in the first place. For an activity to be acceptable as a legitimate strategy for intimidation or momentum, it has to be a one that is already a justifiable strategy. For example, taking a player out by beating him over the head with a baseball might intimidate the opposition, but it is clearly not justified. But this justification is the very thing in question here. Moreover, there are plenty of alternative and legal strategies to gain a psychological edge or change the momentum of a game. Similarly, the possible entertainment value of fighting is not sufficient to justify fighting. We still would need to show that it is something appropriate for entertainment. Where fighting as such regarded as benign or otherwise acceptable, then the fact that folks find it entertaining would be sufficient; but, since fighting is not something normally regarded as acceptable behavior(in regular life or most sports), it stands in need of justification beyond the spectacle. I do not think the Offense/Defense balance argument justifies fighting. One, I am not sure fighting has a significant role in maintaining the balance. Though I have little direct experience of them, Olympic and European hockey leagues don’t seem too far out of balance in this regard and they do not allow fighting. Two, if there is an imbalance, the league ought to look to its rules to help restore the balance in a way that doesn’t require the violence of fighting. This argument, like the earlier ones, also seems to beg the question. Fighting could be used to maintain the balance, but only if we already accept that it is an acceptable activity. Its acceptability is, however, the thing in question. The retaliation argument is a common one. The claim is that the in order to prevent agitation, cheap shots, and outright attacks on smaller or star players, the bigger, tougher players have to engage in the occasional fight. My friend Craig Carley suggests that the medieval concept of a fighting champion might be relevant here. The goalie or skilled, non-fighting player needs the fighters (“goons”) as a champion to protect them from and retaliate for violence done against them. Nicholas Dixon, in “A Critique of Violent Retaliation in Sport,” argues against this view. He argues that by analogy to criminal law, we don’t allow self-defense to extend beyond the moment of danger. While one can justifiably defend themselves (or someone else) from an attack, one cannot hunt down and retaliate against the assailant later. That is the job for the justice system. By analogy, the referees and league officials are the ones that ought to police cheap shots and illegal violence in the game. Players can certainly defend themselves and teammates, but once the initial aggression is thwarted, it ought to be up to the officials to dispense justice. I am sympathetic to this view. It is one thing for a fight to break out in the course of self/team defense. It is quite another thing for the coach to send out a player later in the game, or even a subsequent game, to fight someone on the opposing team in retaliation for some earlier improper action. This latter induces more violence rather than curbing it. The former might reduce violence by countering it at the point of attack and possibly deterring it in the first place. But to strike back later, after the fact, likely merely initiates a new round of violence. Another objection to the retaliation argument is that European hockey leagues as well as the Olympics explicitly prohibit fighting and punish it more severely. It is not clear that this diminishes the game, makes it any less exciting, or puts the smaller, star players in to more vulnerable positions. This undermines the claim that hockey wouldn’t be as good or safe without the fighting. At the same time, the policy of self-policing in the NHL is an attractive aspect of the game. Unlike in football or basketball, I rarely think about the referees. In almost every NFL or NBA game, the officials seem to make bad calls that have significant effects on the game. In my experience, this is much rarer in the NHL. In part, this is due to allowing the players to police certain aspects of the game themselves. If the referee role was increased to root out fighting, we would see the referees having more of an effect on the game—and one fans and players won’t like. The deterrence effect argument is another one that has some pull on me. It makes some intuitive sense that players would be less likely to instigate or agitate if they knew a “goon” was going to be coming after them. So it might be true that by the NHL being open to some minor fighting, it reduces the overall level of violence in the game. This is true even if fighting is rare. It can be just the goon-threat that prevents the initial instigation from occurring or getting out of hand. The use of fighting or, rather agitation by threatening fighting, can be used strategically to induce the opposing to team to commit a penalty. To the extent that the instigating player stays within the rules and draws a penalty by getting the other play to lose his composure, this doesn’t seem objectionable. If one is merely counting on not getting caught throwing the first punch, this strikes me as unsportsmanlike. It is one thing to harass, within the rules, the opposition; it is another thing to violate the rules while hoping you don’t get caught. This argument, then, doesn’t support the justifiability of fighting. It supports the attempt to get the opposition to initiate a fight so that one’s team gets a power play. This presupposes that fighting deserves a penalty. This doesn’t celebrate the fighting as such (or condone strategic fighting), but it does recognize that the occasion fight is an expected outcome of the kind of play that is essential to the game, both in terms of playing it well and fan enjoyment. Attempts to reduce fighting in the game significantly would likely have the unintended consequence of reducing the physical, aggressive play of hockey and thereby, undermine a significant aspect of the game. From this, I conclude that the strategic and intentional use of fighting in hockey is not justified. Moreover, that while fighting should not be encouraged or celebrated, the NHL should be wary of moving too strongly or too quickly to reduce or to eradicate fighting from its game. Whenever a big doping scandal erupts, there are two issues that need to be distinguished. The first issue is the theoretical debate about the justification for the prohibition of PEDs. The academic literature is replete with discussions about the ultimate justifiability of these bans, and if so, on what grounds. Personally, I am skeptical of most of the arguments supporting PED bans: mostly on the grounds that they often fail to be consistent or exhaustive. Though as a philosopher, this is the issue I am most interested in, I am not so concerned with these questions here. The second issue is that given that there are bans, how ought we to evaluate those who get caught? In one respect, this seems easy. We ought to condemn players who knowingly violate the rules of their sport. That said, I do think there are important questions about the fairness and reliability of the current system of testing. Is it effectively administrated? If not, this could mean that the system favors some athletes, allowing them to get away with PED use while others cannot. Is it reliable in screening out false positives? It can be ruinous to a player’s reputation to be falsely accused of PED use: once tainted, it is nearly impossible to get out of that shadow. Due process is important: for a player’s reputation, legacy, and earnings. But it is also essential for fans to know that the system is fair and that the game is being played on an even field. But even with these questions about fairness and process, players know the rules. They know what substances are prohibited. Players that seek an edge beyond what is allowed by the rules are in the wrong. There might not be well-grounded reasons to ban many of these substances, but there also aren’t good reasons to prevent leagues—participation in which is voluntary—from implementing such bans (any more than preventing them from banning aluminum bats). So while I may not think that many of these banned substances ought to be banned, they are banned and these players have, through the CBA, agreed to these rules. For them to violate these rules is a violation of their integrity and honesty. For this, we ought to condemn them. Rule-violations: The general category of actions where one violates in some manner the accepted rules of the game. These can be accidental (one is pushed out of bounds by an opposing team member) or intentional (one holds a wide receiver to prevent a catch resulting in touchdown). Cheating: an intentional rule violation done for an advantage in a contest that typically involves deception and attempts at avoidance of the penalty for the violation. For example, the use of a prohibited performance-enhancing substance. This is done in secrecy with the goal of keeping the use secret. Tactical foul (also strategic, good, or professional fouls): an intentional rule violation done for an advantage in a contest (or to prevent/mitigate a disadvantage) that is typically done in the open with the goal of the foul being called or acceptance of penalty as price worth paying to prevent a worse outcome. The paradigmatic example is the time-stopping foul near the end of a basketball game. This is done quickly and obviously in order to stop the clock with the hope of closing the point gap. I am interested in identifying a class of actions that while they might in some ways be rule violations do not seem to fit into the categories of the literature on intentional rule violations. In this case, it seems that Forsett knew he was down and thus knew the play, by rule, was over and that he did not actually score a touchdown. While this is not a rule violation of the sort involved in the commission of a foul or penalty, it is (or at least appears to be) a case where the rules that govern what count as a runner being down or scoring a touchdown are ignored. Forsett, and the Texans as a team, appeared willing to accept a touchdown that by the rules really wasn’t a touchdown. Similar cases that fit into this category are where a player clearly steps out of bounds but continues to play as if he did not or where a baseball player “traps” the ball and proceeds as if it is a catch. A soccer player who knows she touched the ball with her hand but plays as if she did not. These are all cases where the player appears to have knowledge that he or she has done some action X (that would result in some negative result for him or his side) but continues as if he or she had not (resulting in some advantage for his or her side). I call these “Playing As If” (I’m not crazy about this name) since one is playing as if they have done one thing while they have in fact done something else. I think these cases are very common in most sports at all levels. Evaluating them, however, is not an easy or clear matter. It seems, at first glance, that the honorable thing to do in all these cases is to acknowledge the action done. So Forsett should not have run for a touchdown. The baseball play that traps the ball ought not to field the ball as an out. The player who runs out of bounds ought not to continue the play. If this is true, then athletes playing as if, like Forsett, ought to be criticized. There are two related reasons, however, that moderates against such a judgment. First, all these cases involve officiating error(s). The officials are charged with ending the play after a player runs out of bounds or is down in football. They have failed to make the correct call and the players continue to play based on the officiating crew’s application of the rules to the game. Many athletes that I have spoken with about such cases put the onus on the officials to make the call. Their responsibility as players is to play, not to officiate. Many have gone further, claiming it would be wrong on the player’s part to engage in self-officiating. In Forsett’s case, his job is to run with the football until the officials blow the whistle signifying the end of the play. It is not his responsibility to determine if he was down or not and he would be wrongly encroaching on the officials’ job were he to do so. Second, there is an epistemic issue here. In describing these cases, I have been presuming that the player knows that he is down, out of bounds, trapping the ball, etc. The player, though, is not likely to be in a position to know this (or to know with enough certainty). This is part of the reason we have officials. Officials are there to offer an unbiased application of the rules, but also to be responsible for paying attention to these kinds of situations. The player is more likely to be focused on other game situations. Returning to Forsett’s case, it is not fair to assume that Forsett knows he is down. In conversations with several football players, they shared that in similar situations they couldn’t tell whether they made contact with the ground or another player. If the latter is the case, they are not down and so ought to keep going with the play. Maybe the athlete suspects he is out or down, but to make the further step of making such a call against himself and his team, he needs, I think, more certainty than is typically available to him. While I think there are cases where a player knows full-well that he is down or out of bounds, etc., in most cases of this sort the athlete deserves the benefit of the doubt. This combined with the well-defined role of the officials as the keeper and adjudicator of the rules mitigates against a straightforward negative moral judgment against athletes in these cases.